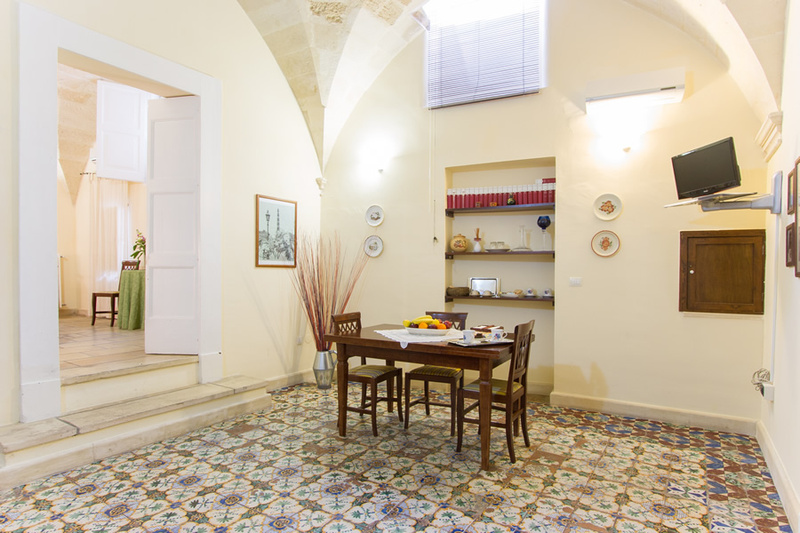 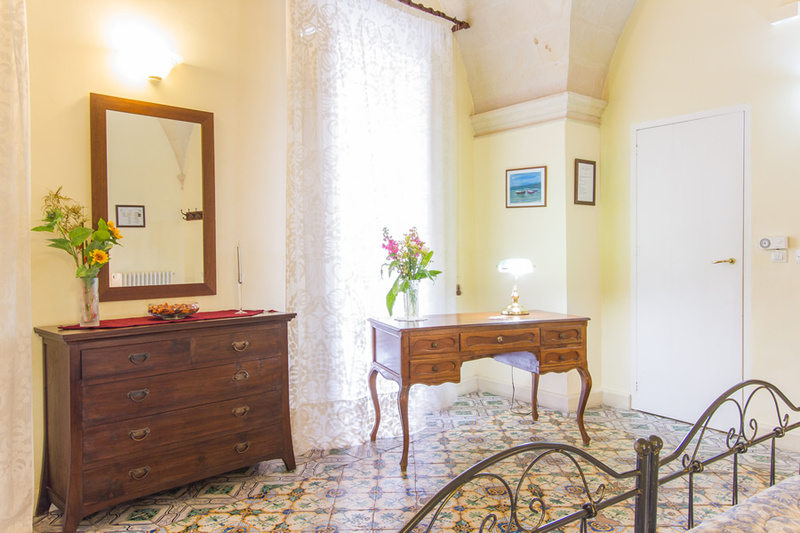 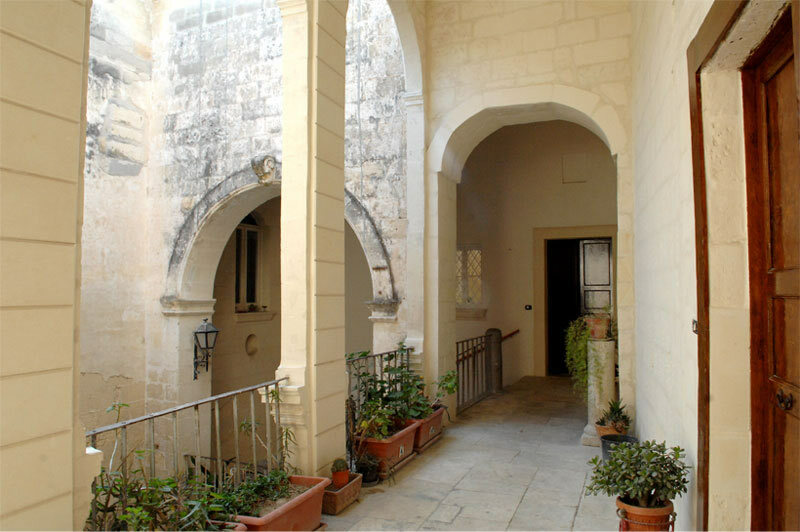 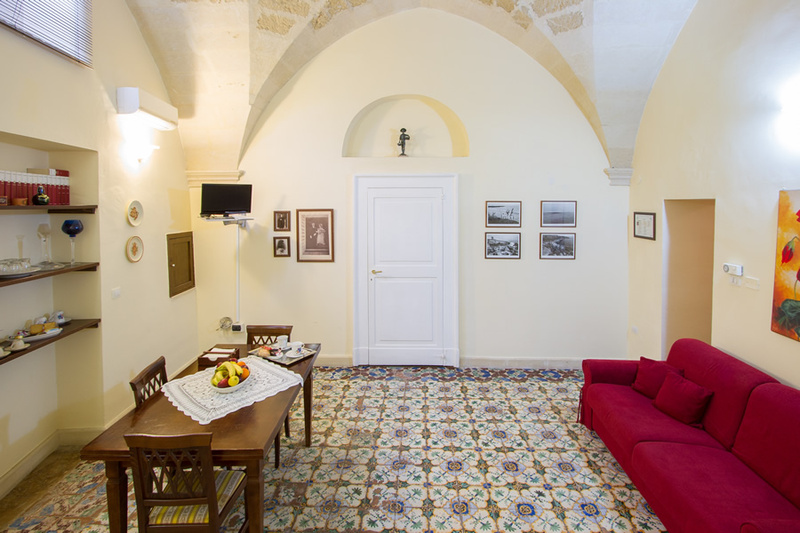 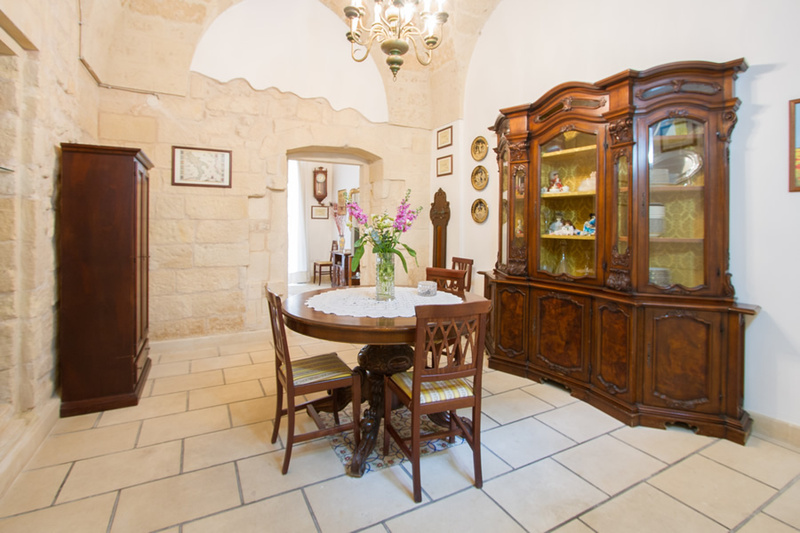 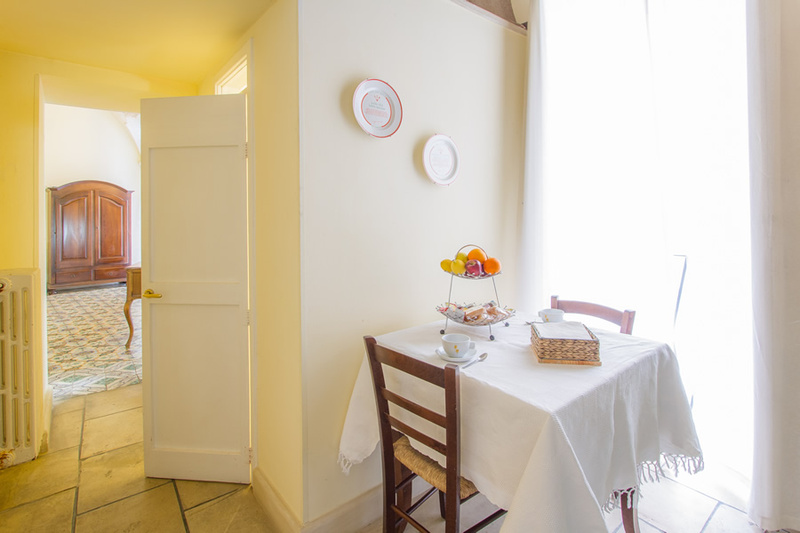 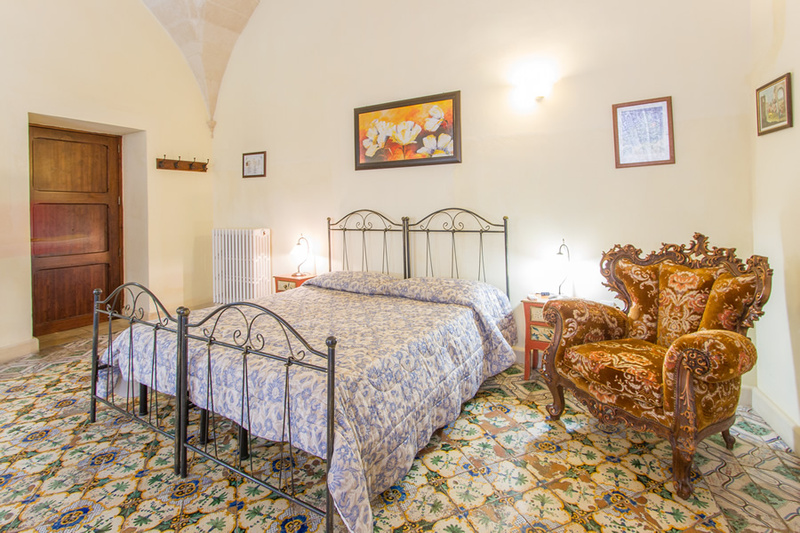 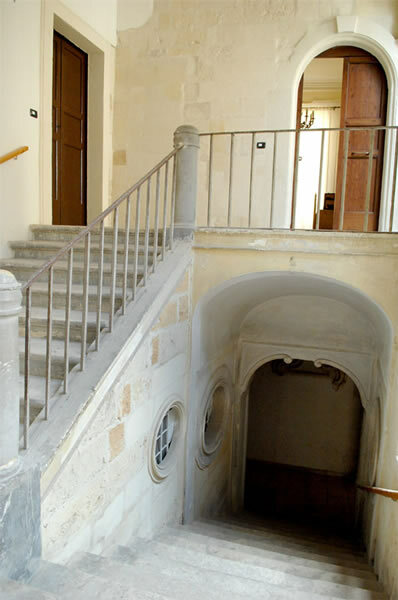 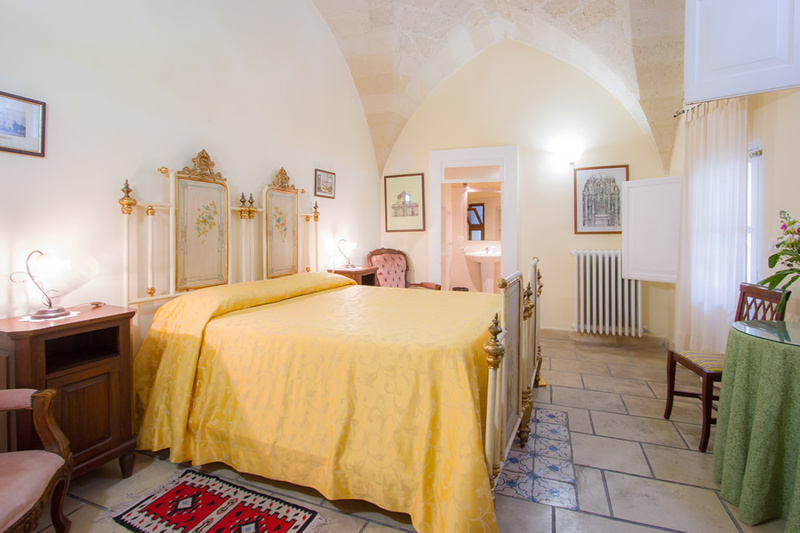 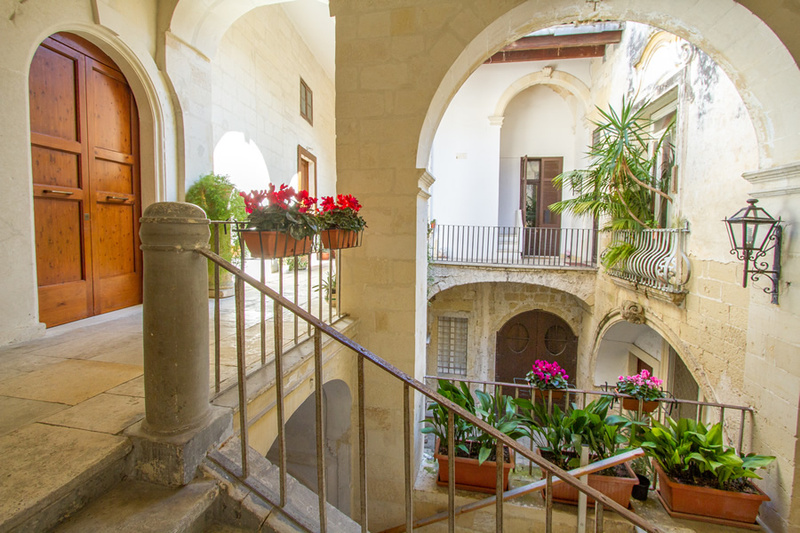 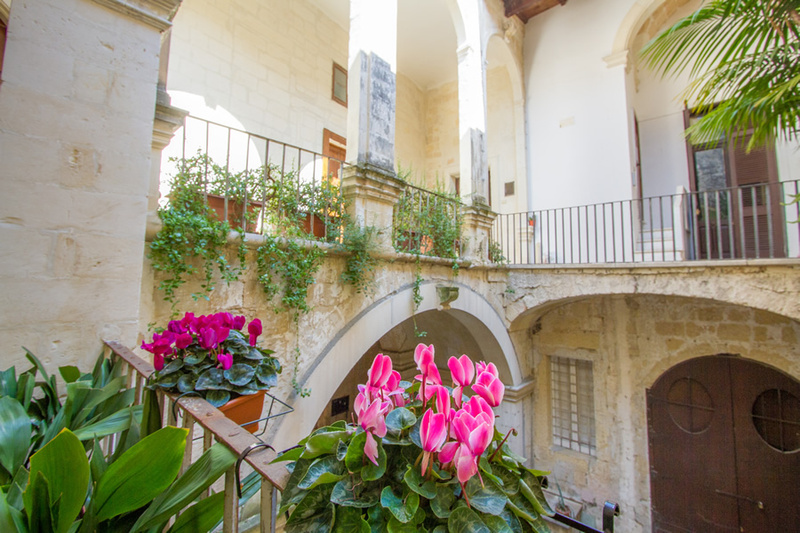 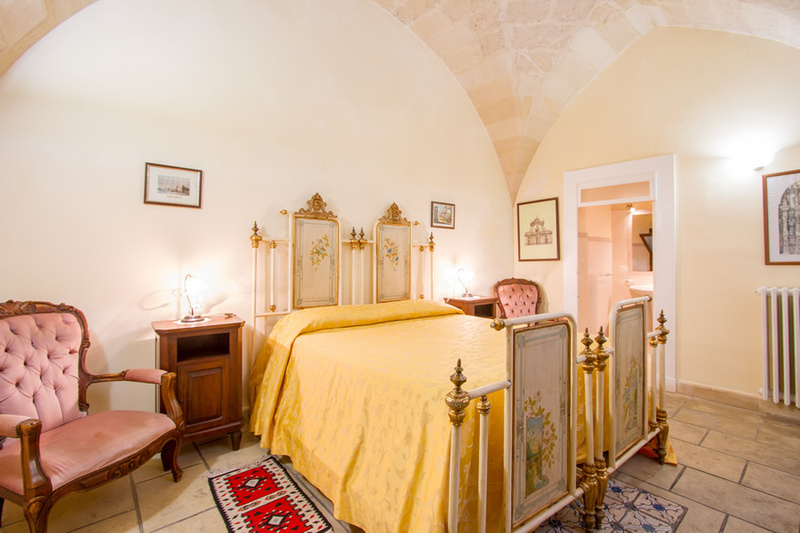 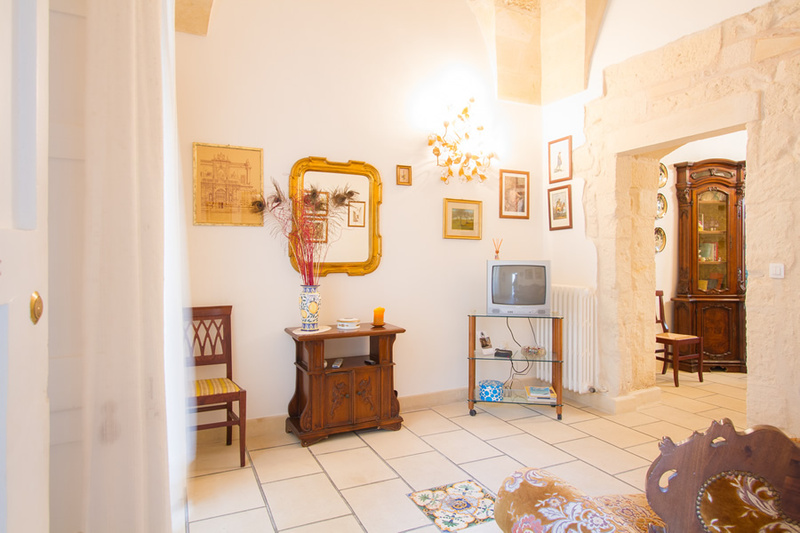 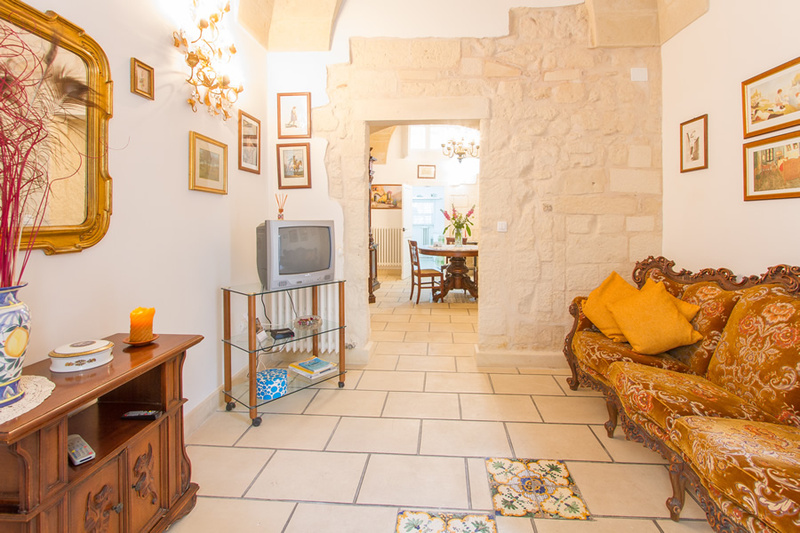 The B&B Casa Li Santi is located in an elegant historical building of the 16th century, commissioned by the family Sambiasi to the famous architect Manieri. 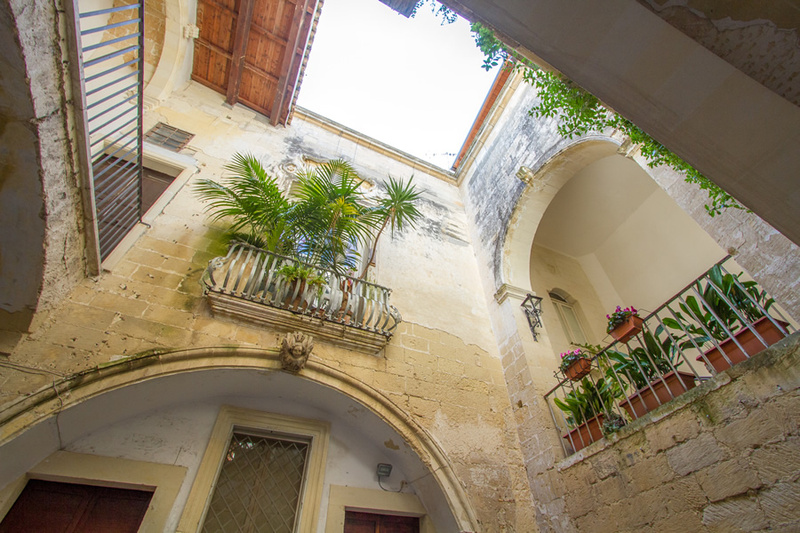 The name comes from the street which was then known as Via Li Santi. 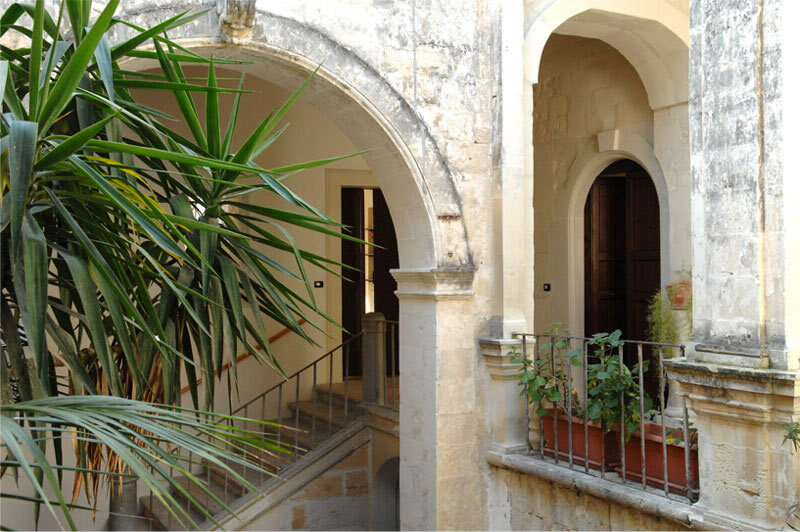 This building still remains one of the best examples of the late Renaissance architecture in Lecce. 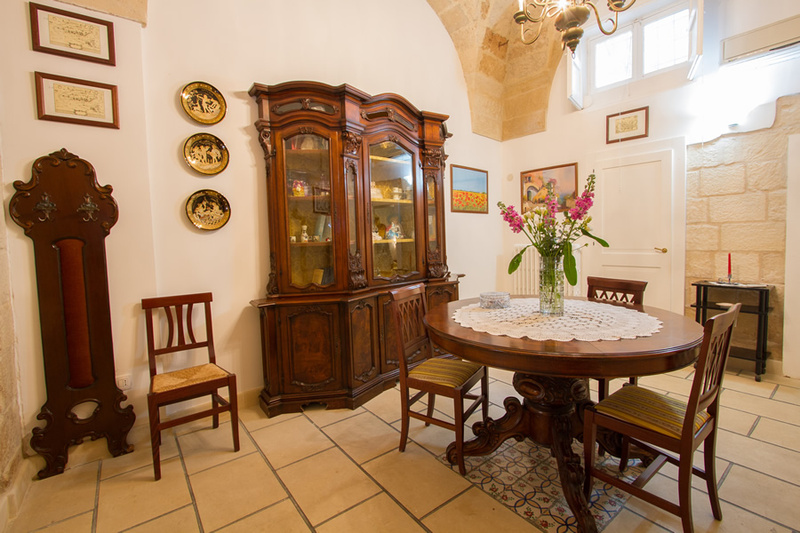 The interior was remodeled in the second half of 1700 and its style is neo-classical. 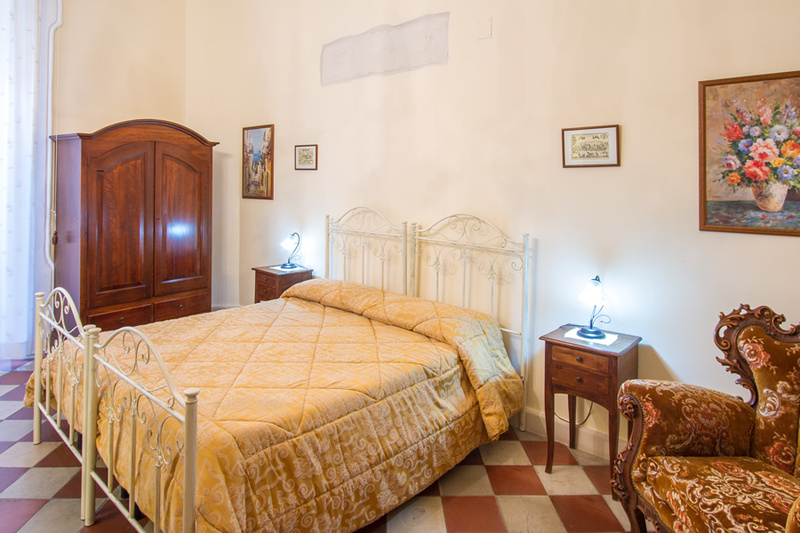 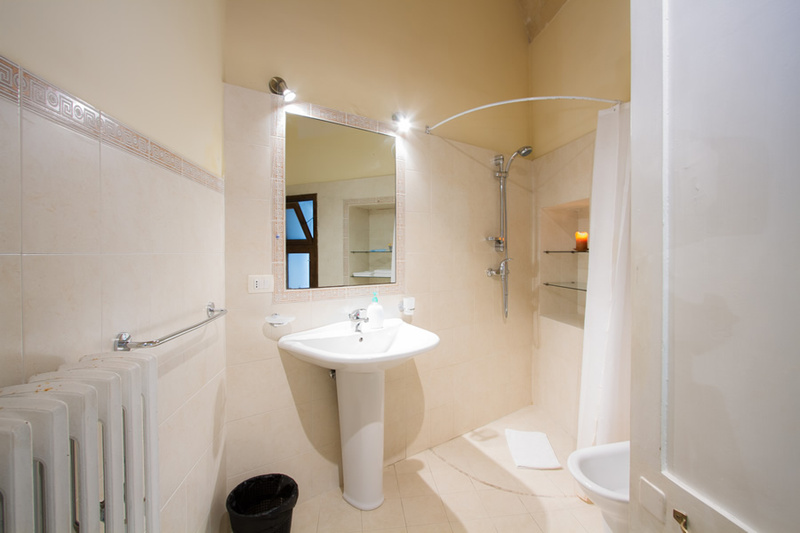 Guests at this B&B are considered as hosts; therefore, you will receive a warm welcome and impeccable service for a pleasant and comfortable stay in the heart of the city. 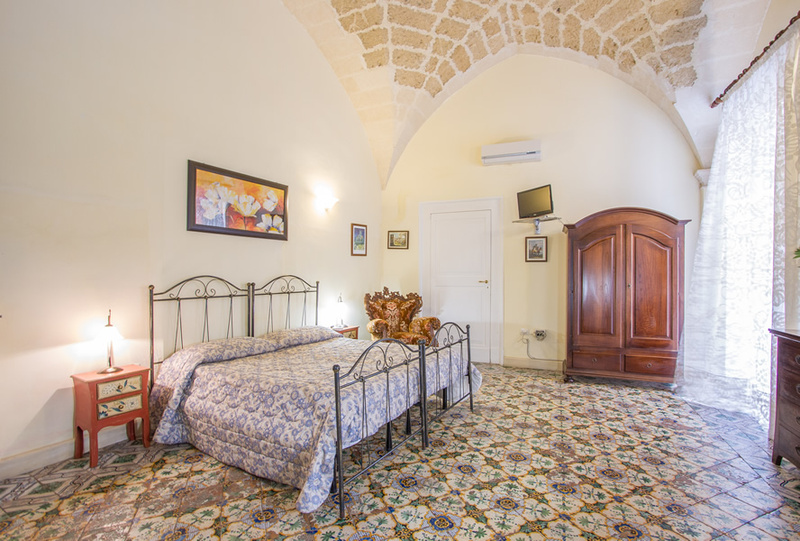 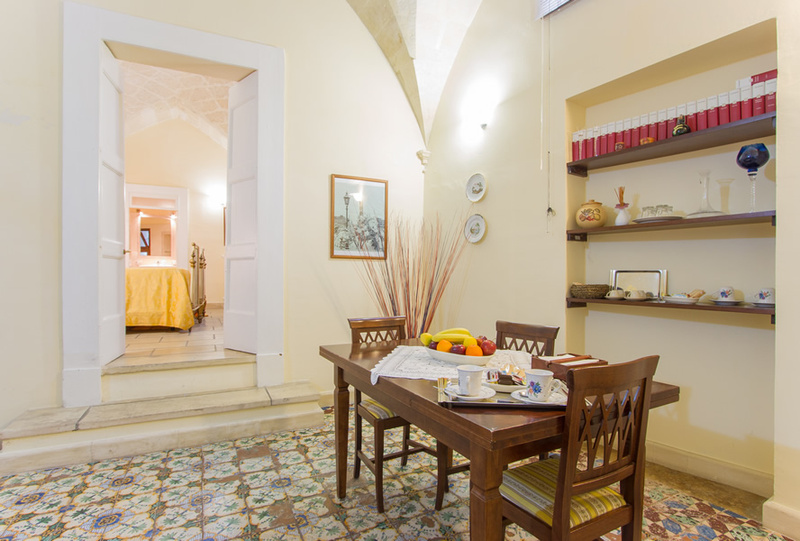 Every room is a carefully furnished mini-apartment characterized by the typical high and white ceilings or the stone vaults and by colourful original floors which are different from each other. 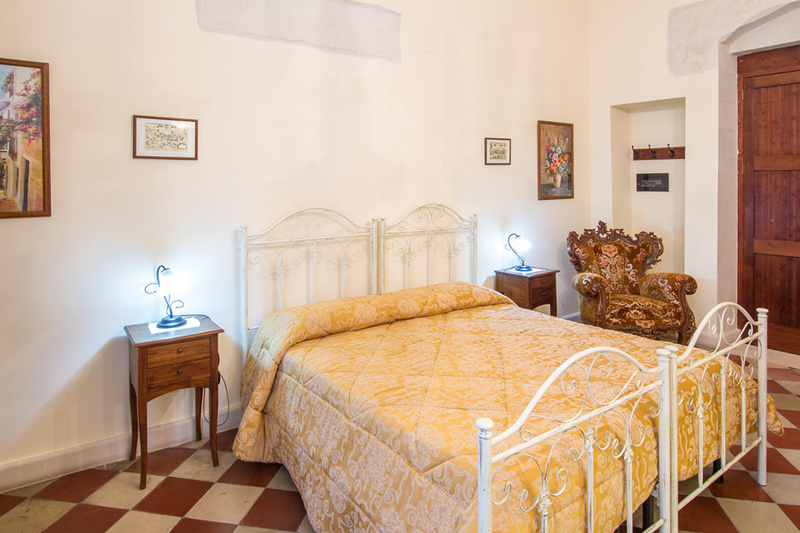 Casa Li Santi has 5 apartments with private entrance and kitchenette or kitchen room. 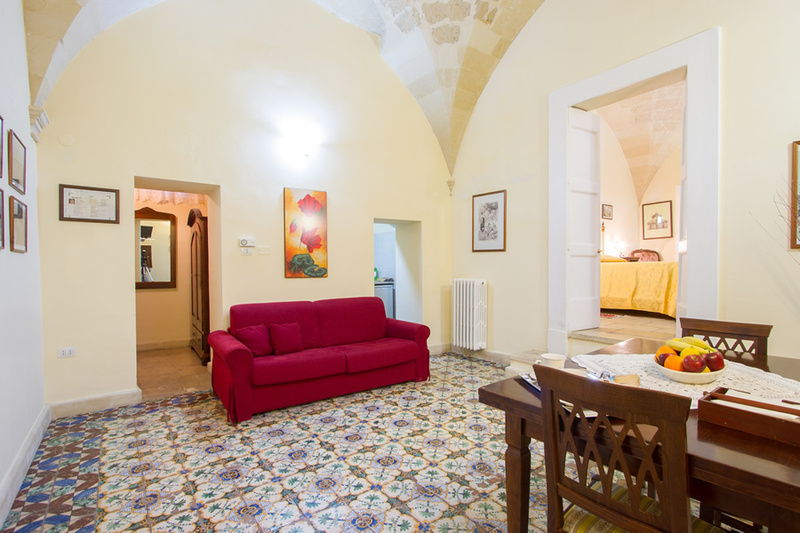 Moreover, all of them have air conditioning and heating, TV, Internet access, linen and dishes. 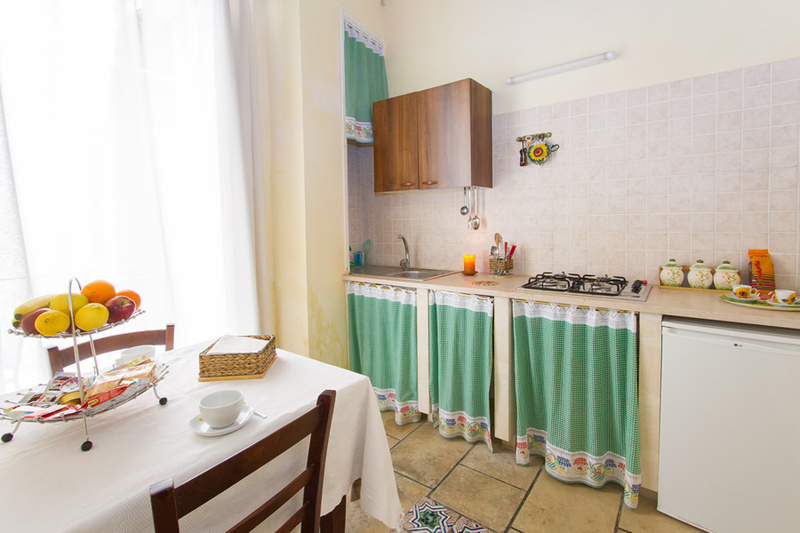 The refrigerator and the kitchen are provided with milk, jam and much more to have a continental breakfast. 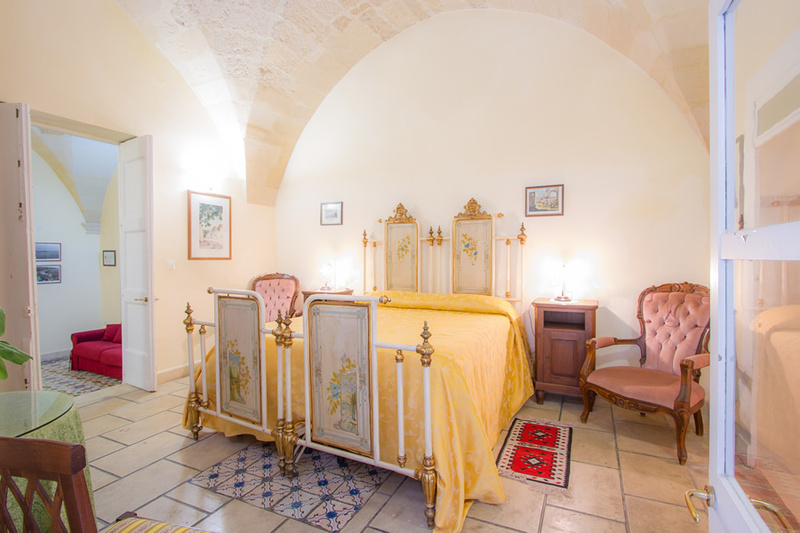 Hairdryer and extra bed are available upon request. 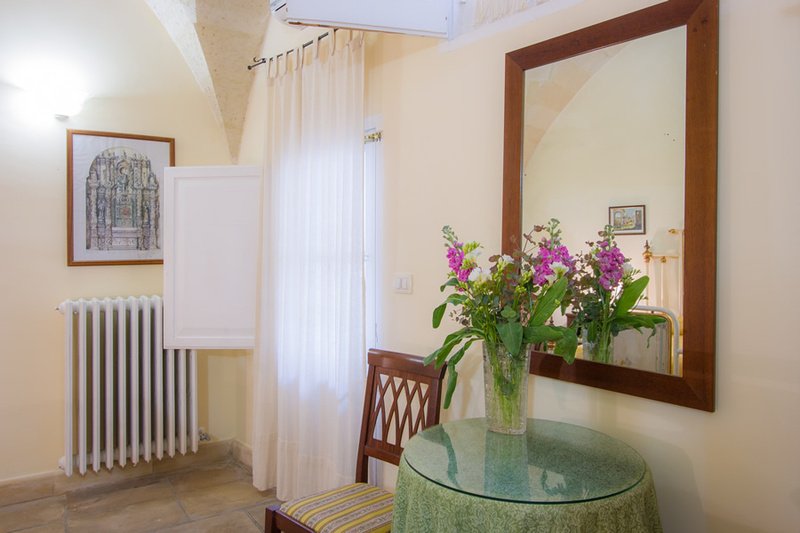 The B&B provides daily cleaning and weekly linen change. 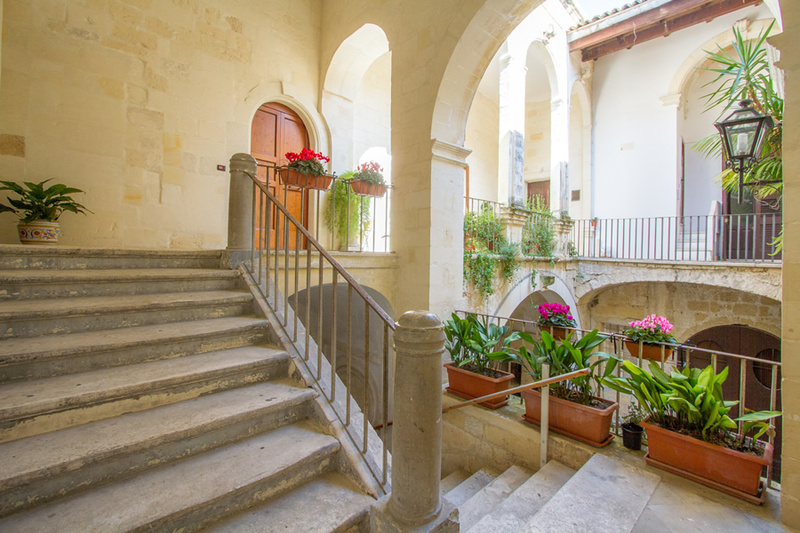 La proprietaria è stata gentile e ospitale, la camera dove abbiamo dormito era molto ampia. 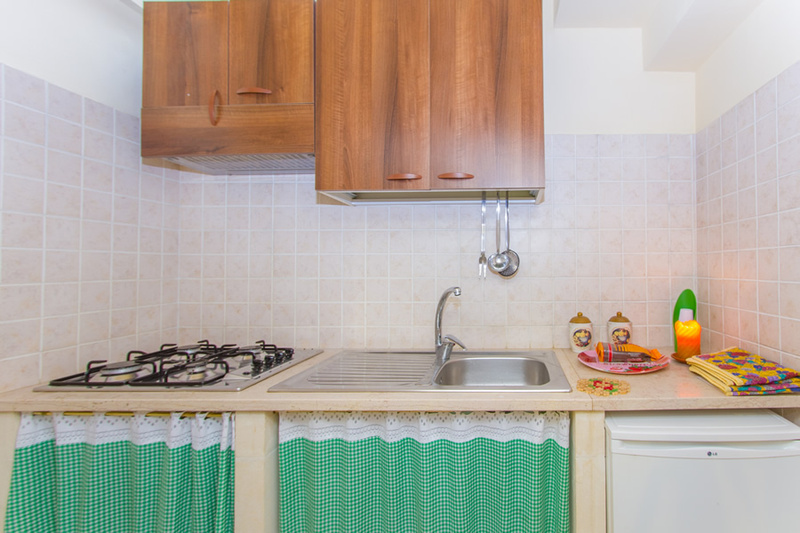 Inoltre avevamo a disposizione anche la cucina.